When you lose a child, your life changes forever. There will always be an emptiness, a missing piece at the family gatherings – the empty chair at the table. This time of year is full of so many emotions. I always loved the holidays and the time spent with family. But since my son’s passing, my initial thoughts are, It’s another holiday that he won’t be here with us. Sal suffered with substance misuse from his early teens, never getting the full treatment he needed due to insurance barriers. In June 2010, he went into a facility and was released after only 17 days because his funding ran out. He stressed to us that he wasn’t ready to leave and needed help. Sadly, we were only able to get him into Intensive Outpatient Treatment (IOP), which he attended three nights a week. Sal was doing great, we were enjoying our summer with him and happy to have our son back. On his 90th day sober, he left our home to go to IOP. At 3:37 am the police came to my home to inform me that Sal was found in my car in another town. He had died from an overdose. We were told that it appeared Sal was not alone in the car when he died. Whomever was with him did not call 911 to save his life. Instead, they left him alone to die. I lost a piece of my heart when Sal died. The holiday season was soon upon us. I wondered, How do I get through this? Initially I wanted to stay in bed and let the holidays pass by. Cuddled deep under the covers watching Lifetime movies, dozing off, crying, screaming, repeat. But as the day went on, I came to the realization that Sal would never want me to stay in bed. Christmas Eve was a special time for our family and I knew deep down it would break my son’s heart if I gave up. I love my son with all my heart but I have a daughter and grandchildren and, as hard as it may seem, life does go on. Memories still needed to be created. Every moment from this day on is important because we, more than anyone, know that life is too short. In an instant our lives changed and who’s to say that can’t happen again? My motto is to live each day to the fullest not only for me or my living family, but also for Sal. I know that a lot of people initially feel guilty about enjoying a holiday. But if we stay in bed, then who is there to keep our child’s memory alive? I vowed to myself and my son that his death would not be in vain and I will forever honor and remember him. With that promise and with the help of my family, Sal is included in every holiday. 1. Do what is in your heart and what makes you comfortable – and do not to worry about what others think or say. 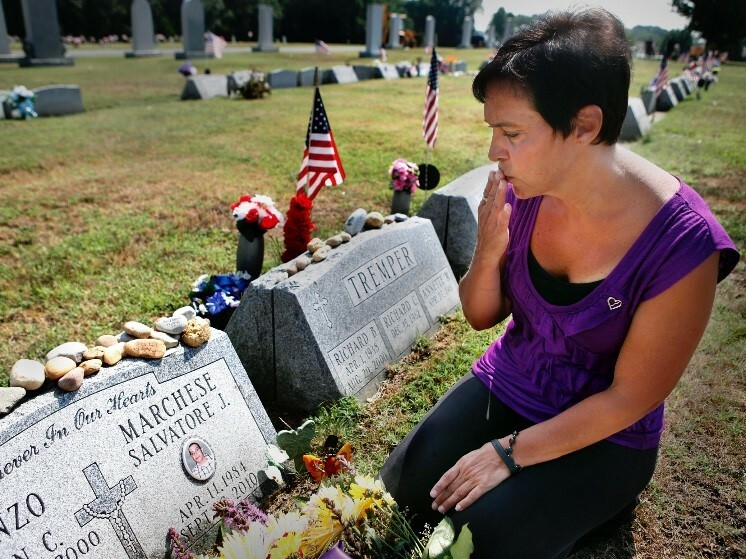 There is no right way to celebrate the holidays after the loss of a child. 2. Acknowledge that the holidays will be different and they will be tough. 3. Talk to your family and share your feelings of how you want to spend the holidays. Be honest. Tell them what you do want to do and what you don’t want to do. You may wish to continue long-time traditions or you may want to start new traditions. Do the things that are special and important to you. 4. Do the best you can. Our friends and relatives often think they know how our holidays should look, what the family should and shouldn’t do. Whatever choice you make, stand by it and don’t apologize. 5. Keep in mind that even when we feel moments of pleasure, we are still grieving. The grief is there and will always be there. However, it is ok to take a break from your grief. Sometimes we don’t allow ourselves to feel any pleasure because it feels like we are betraying our loved one who died. Don’t be afraid to have fun. Laughter and joy are not disrespectful. Give yourself and your family members permission to celebrate and take pleasure in the holidays. Turn your grief into something positive that will make your child look down and smile. 7. Keep in mind the feelings of your children or family members. Try to make the holiday season as joyous as possible for them. 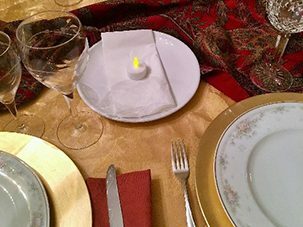 For Thanksgiving, we set a plate for Sal with a small votive candle on it. It brings me peace me knowing that everyone at the table looks at the plate and remembers Sal in a quiet, unspoken way. Even if it is for a moment that they recalled a time with him or just pictured him in their mind – Sal was with us. 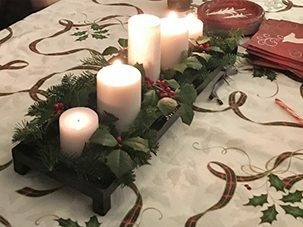 On Christmas Eve, we honor Sal before dinner with the lighting of five candles in his memory. We display pictures of Sal and we speak of him with a sparkle in our eyes as we keep him close to our hearts. On Christmas morning, we open our gifts and afterward we go to the cemetery to visit Sal and wish him a Merry Christmas. For Sal’s birthday, I bake his favorite cake and we meet at the cemetery where we sing “Happy Birthday.” Afterward, we go out to dinner to a restaurant that serves steak, one of Sal’s favorite foods. For the anniversary of Sal’s passing, we held a “Dine & Donate” event and with the donations received we were able to fill 200 backpacks with gloves, hats, socks and toiletries which our family handed out to the homeless in Sal’s memory. Remembering promotes healing. Once others realize that you are comfortable talking about your loved one, they will be more open to share stories that will add to your pleasant memories. Ask everyone to share a memory on a piece of paper and put them in a special bowl or stocking hung for your child. Put up a special tree for your child. Ask family and friends to decorate ornaments with a message to your child. Cook your loved one’s favorite dish. Make a toast to your child before dinner. Go around the dinner table and have everyone share a memory. Donate to a charity of your choice in memory of your loved one. Volunteer at a soup kitchen or nursing home to help others over the holidays. Sit by your loved one’s grave should they have one. Commemorate your loved one’s life by writing a memorial tribute or creating a fundraiser in their memory — to ensure other families receive the support they need. Talk about your child, share stories, laugh, cry, shout — but most of all remember and honor them, for we are the keepers of their memory. It’s not the grief you want to avoid, it’s the pain of the loss. Grief is a necessary part of the process, a way to get through the pain. There are no words to describe the pain of losing a child. When you lose a child, nothing is ever the same again. Every aspect of our lives is based on our child’s memory. I am not happy every day of this holiday season. There are many times that the grief overtakes me and I just need to go to my quiet place where I shut down and allow myself to grieve. These days are a struggle. When we see families who are complete and sharing special moments together — moments that have been stolen from us, moments we cannot get back and will not have again. So yes, I grieve through these days and I still cry and scream and ask, “Why, why my baby?” I may never know the answer to that question while living this life but I will continue to ask it through my cries. As crazy as it seems, I find myself believing that this was Sal’s destiny. His life was short on earth but because of his short life, other lives are now being saved. 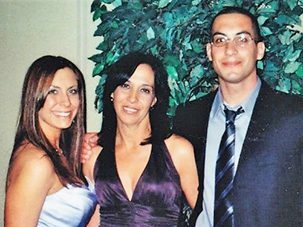 Because of the circumstances of Sal’s death, I began to advocate in New Jersey for passage of a 911 law, the Overdose Prevention Act, which allows individuals to call 911 to report an overdose without fear of being arrested. I made it my mission to ensure that every police department in my county carried Naloxone to assist them in reversing overdoses and saving lives. I also go into Camden, NJ at least four times a year to hand out 911 information palm cards and backpacks with essentials to the homeless who are struggling with addiction. All of this gives me the strength to move forward. I turned my grief into a journey of helping to save other lives and help parents. I do this to honor Sal. My son was very compassionate and truly an old soul who cared deeply about others — so it makes sense to me that saving lives is what I need to do here on Earth. I’m not going to say I’m the life of the party but, yes, I smile, I laugh and sometimes I cry — but I’m there and I know my son is smiling. Thinking warmly of each of you and wishing your family an extra measure of comfort, joy and hope this holiday season. Patty DiRenzo is a member of the Camden County Addiction Awareness Task Force which helps raise awareness, reduce stigma, provide resources and create programs to educate her community. She is a liaison to state and local community awareness groups and is available to speak with parents who have either lost a child or have a child struggling with addiction via her Facebook page. Opioids (prescription painkillers and heroin) pose a high risk of overdose, for both those in active use and in recovery. Learn the risks and understand what you can do to help prevent accidental death. This post was originally published in 2017 and has been updated for content. I’ve had two of my three sons die because of an accidental overdose and another to herion/fentanyl overdose. My third son is in recovery since he found his brother dead. My coping method is to NOT dwell on the horror that has decimated our lives. If I spend my energy doing memorial type of things I am overwhelmed with grief. I put on my mask of being alright and move on. What else is there to do? Grief doesn’t EVER go away it is always just below the surface of my emotions. I can’t imagine losing one child, much less two. My heart breaks for you and your family to have experienced such a great loss. I know each family moves on in different ways and I hope some of the suggestions Patty shared were helpful. We ( the Partnership) are in the process of developing resources for families who have lost loved ones so if there is anything you feel was helpful at all, please let me know. Tina I’m so sorry. I myself had struggled with drug addiction, suicide. I went as far as shooting myself in chest missing my heart by an 8th of an inch. It’s a hard battle. I’ve went to prison for 31 months due to my addiction causing me to steal and hurt several people including my daughter’s. I’ve lost several friends to addiction. And if there’s any thing ud like to talk about let me know please. I’ve since got my associate degree in drug addiction threw college and help others. I have lost my son due to opiates.He took his own life on February 20th 2017. It was an up and down battle. Troy was only 22 years old, would have turned 23 August 15 th. Thank you Patty for your lovely post and so many wonderful suggestions to ease pain for everyone facing an “empty chair”. You, Sal and your family will be in my thoughts this Thanksgiving. Thank you for your kind words. Wishing you a Happy Thanksgiving!! I have a friend who recently lost her son, Eyal. I am sharing this w/ her and the family. As you know – the pain never leaves but the passage thru grief changes as time passes slowly by. The Queen Mother of England once wrote, “Grief is the Price we Pay for LOVE” and it’s true. I would rather pay the price of grief than loose the love (that will inevitably cause heartache & grief) My prayer is that you will find some joyful memory of Sal that will cause a smile to cross your lips this holiday season. May your tears cease although your heart may ache. “Grief never ends…but it does change. It’s a passage not a place to stay. Grief is not a sign of weakness, nor a lack of faith…It is the price of Love.” God’s blessings to you, my friend.